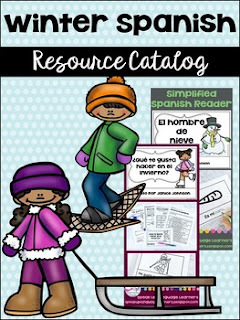 This is a clickable catalog to make browsing the Speak Up Language Learners winter resources for Spanish class easier than ever! With this free download you are able to see winter items grouped by topic and with clickable images. En la granja Farm Animal Reader. La familia de conejos Family Member Readera>. I will be adding more readers to my store. To receive notifications as I add products, click the star to follow me.